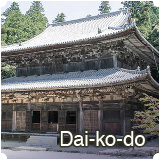 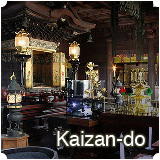 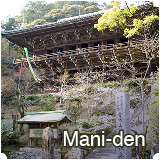 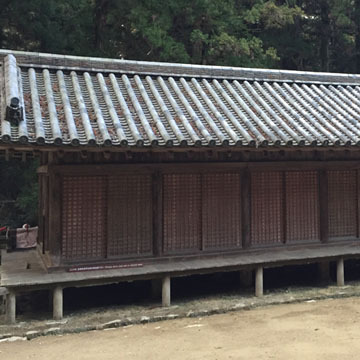 Kaizan-do was destroyed by fire in 1286 (Koan 9th yr), but was rebuilt in 1288 (Sho-o 1st yr). 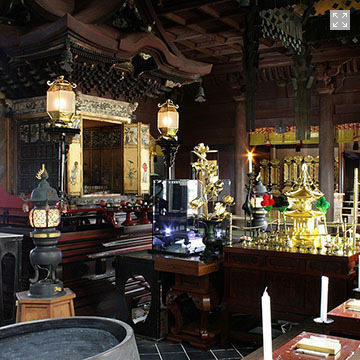 Later, Oku-no-in (the Inner Sanctuary) was redeveloped, and the Kaizan-do seen today was built in 1673 (Kambun 13th yr). 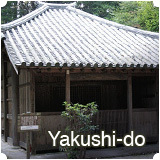 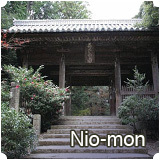 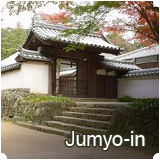 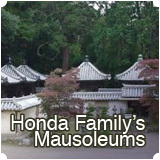 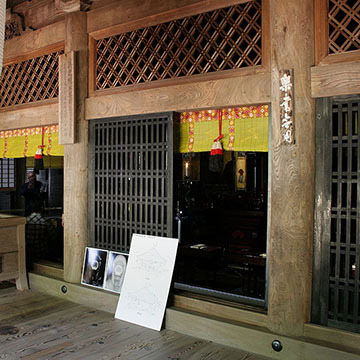 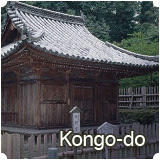 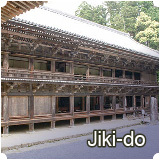 It is renowned as one of the representative structures of the Founder’s Hall in the early Edo period. 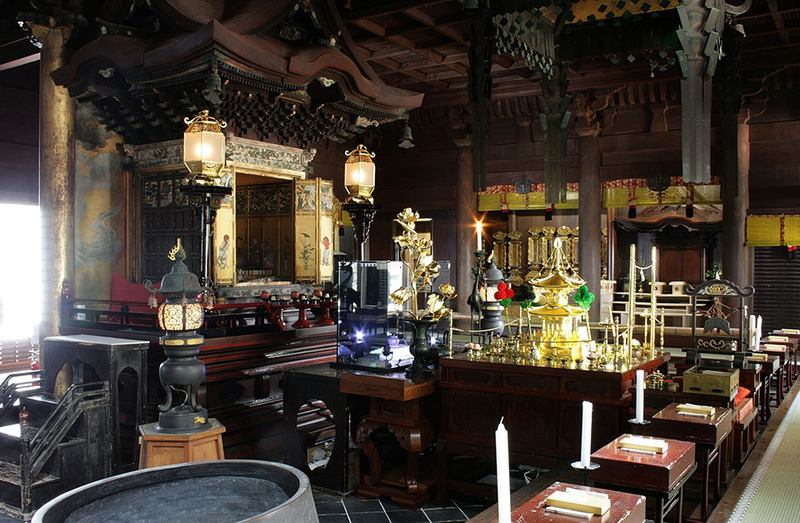 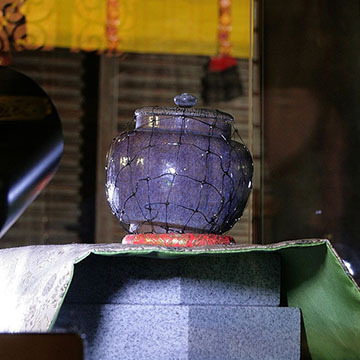 A torch has burned continuously for more than 1000 years in Kanzan-do, the core inner sanctuary of Engyoji Temple, as a symbol of the thousand-year-history Shosha-zan (Mt. 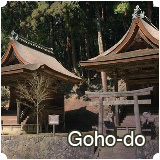 Shosha). 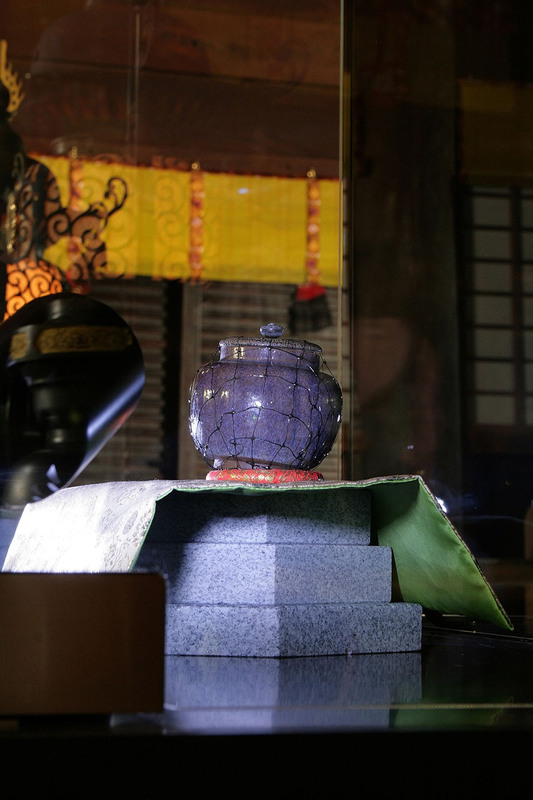 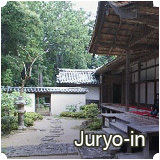 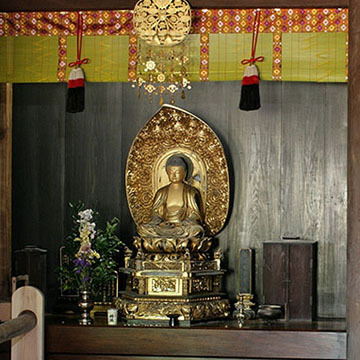 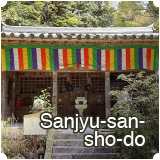 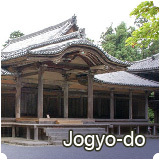 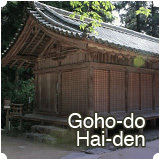 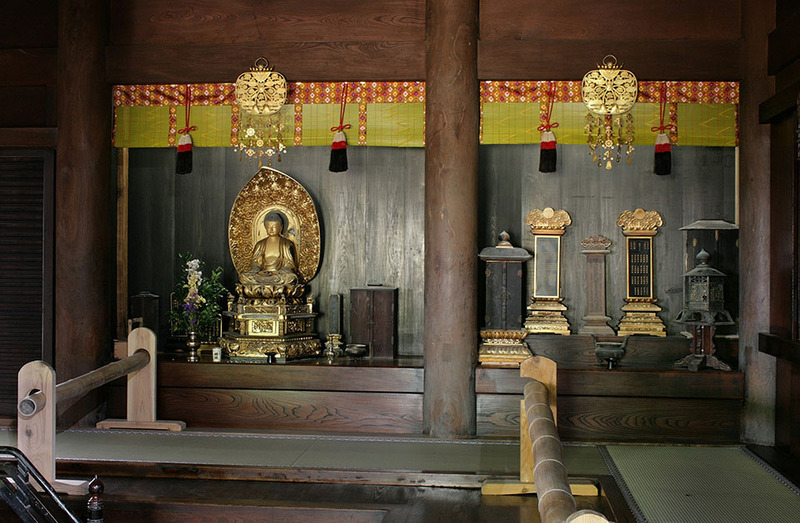 In addition, “Gongyo” - a Buddhist ceremony - is performed every morning and evening. 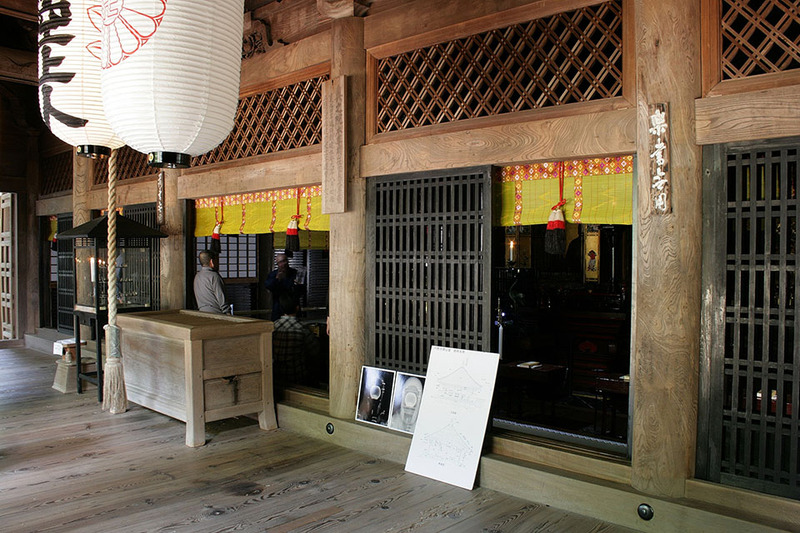 A well-known tradition says there used to be four sculptures of Sumo wrestlers by Hidari Jingoro, a legendary sculptor and carpenter, on the four corners of the eaves, but later the wrestler on the northwest corner could no longer bear its weight and fled, leaving only three.